A Few Scraps: Secrets of Free-Motion Quilting on Craftsy! 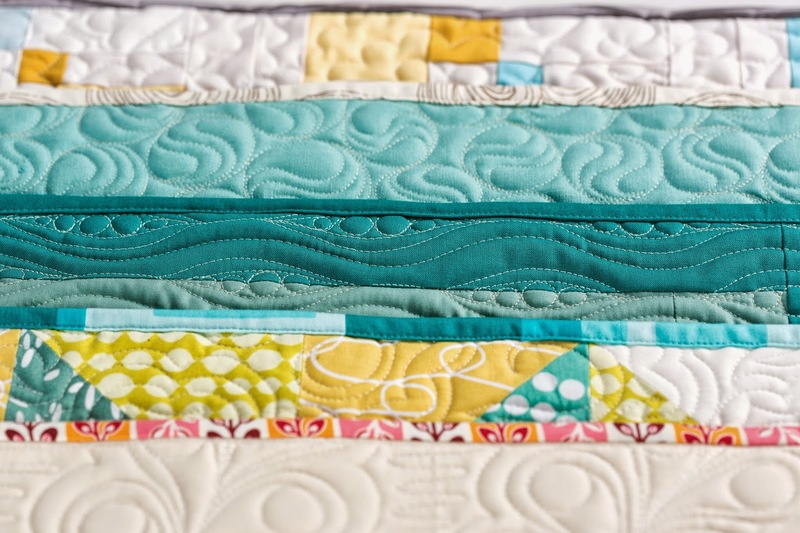 Secrets of Free-Motion Quilting on Craftsy! Hooray! Today is the day! Not only is it Election Day, but today my first ever video class, The Secrets of Free-Motion Quilting is available on Craftsy! We build on simple continuous line designs to create new and interesting variations using skills you already have. We cover seven design families, one in each lesson. 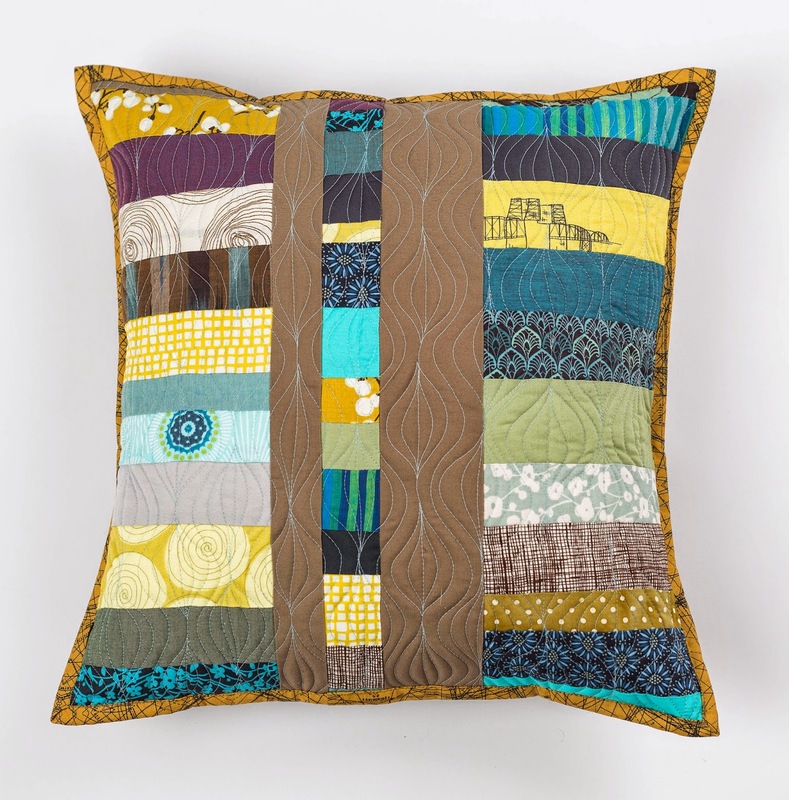 You'll see lots of free-motion quilting designs and lots of me drawing and stitching them. And my favorite part is that in each lesson we practice looking at a FMQ design and breaking it down. I want you to feel confident in re-creating the designs you see out there in the world, in quilt shows, on blogs, in books. So I made it a point to teach how I break down a design to understand it. I tried to include all the little guidelines I've developed for myself as I've improved my free-motion quilting. So there are little "secrets" sprinkled throughout the class. I hope they are helpful for you! I watched the class and I'm very happy with it. The only thing I wish was different is how I look! Why do I keep making that nervous face that looks like a sneer? Why did they have me wear that much makeup? These questions will never be answered. But the stitching is good, so I can handle the other stuff. My special offer for all you dedicated blog followers is this special link for $20 off. This will be good here on my blog for the next two weeks. Update 11/22/14: Half price link is gone but you can often find sales at Craftsy! I do get a bonus when you use my links when you shop for classes on Craftsy so if you can click from here, thank you! If you've never taken a class on Craftsy, you should know that once you purchase the class, it stays in your account forever. You can watch it on your computer at your own pace, as many times as you wish. If you have questions about anything in the class, I can answer them online though their class discussion function. I think I'm going to love that part, getting to interact even though we aren't in a classroom together. Well that's my big news, thanks for sharing in the excitement with me today. Congrats to you, Christina! I love your book and I'm sure your class is great too! Congrats Christina. I love all you've taught on your blog so I know I'll love your craftsy class! And...you are as beautiful as your quilting! I'm enrolled! Have been eagerly awaiting your Craftsy class! Wow, how exciting. This class will definitely be added to my account. I love Craftsy. Bought and started watching right away. Loving all the pebbles, especially the beach balls. I can already tell this is going to be a great class for me. Congratulations-it is hear at last. I've enrolled but alas it will be a day or so before I can watch it as those babies are calling me to work early in the morning. how exciting !! look forward to learning heaps from you ! oh and thanks soo much for the bonus discount !! Hooray for you Christina! That is totally awesome to be a Craftsy instructor! I enrolled and am so excited to start your class and will be doing so soon! It is so nice that we can fit it with our own schedules and go back and review any time we want. You might not feel like yourself when made up for the camera, but don't worry, you look very pretty and your wonderful smile has me smiling right along with you! I've watched the first two lessons. They -- and you -- are wonderful! You look beautiful and relaxed on screen. I've bought my class. Looking forward to it! Dawn and everyone, *thank you* all for the kind words and supporting my latest work, it is the nicest feeling. MWAH! I've just enrolled in your class and I can't wait to start! Thank you! Yay you!! You go girl. woo hoo - congratulations! You and your stitching are beautiful - pictures don't lie. :) It seems I can't FMQ on my old "beater" sewing machine, but since we get to keep the class forever in our account - so I just bought my copy and plan to watch it over and over again. So exciting! I get to have you right in my sewing room for instant help and tips (I bought it ~ thanks for the discount)! I do have my PMQG medallion quilt that needs quilting and wanted to do something special on it! Wow! Thank you! For the discount and the class. Can't wait to watch! I've enrolled in the Craftsy class and can't wait to "attend"! Just stumbled across your blog and love all the advice! Free-motion here I come!! Hi Christina, thank you so much for such a great class. Thank you for signing my book and your kind words, you will forever be one of my biggest sources of inspiration. I can't wait to keep learning from you! ristina, thank you so much for such a great class. Thank you for signing my book and your kind words, you will forever be one of my biggest sources of inspiration. I can't wait to keep learning from you! Oh SewInspired2Day, you are so kind! Every FMQ teacher should be so lucky to have someone saying such encouraging things to her. I hope you stick with the FMQ, you are off to such a fabulous start! I love reading your comments, thank you for coming by!